Check the weather before you set out as the gorge can be flooded and very dangerous after heavy rain. Check with Glenbrook Entry Station before heading out. 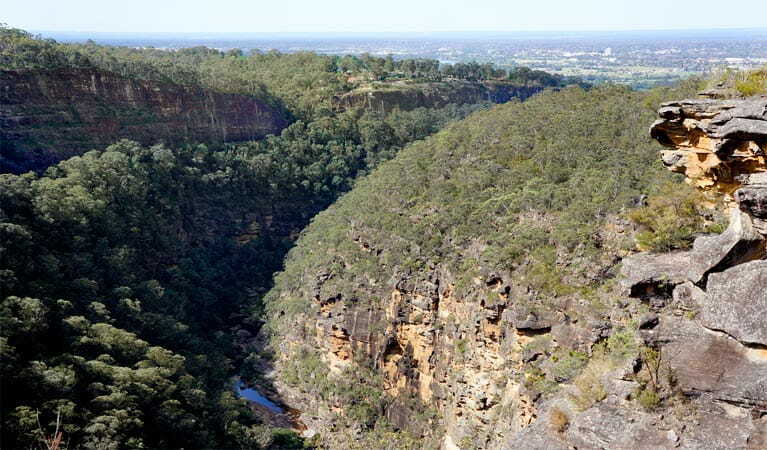 Take a well-deserved breather and enjoy the tranquillity of the surrounding bush. 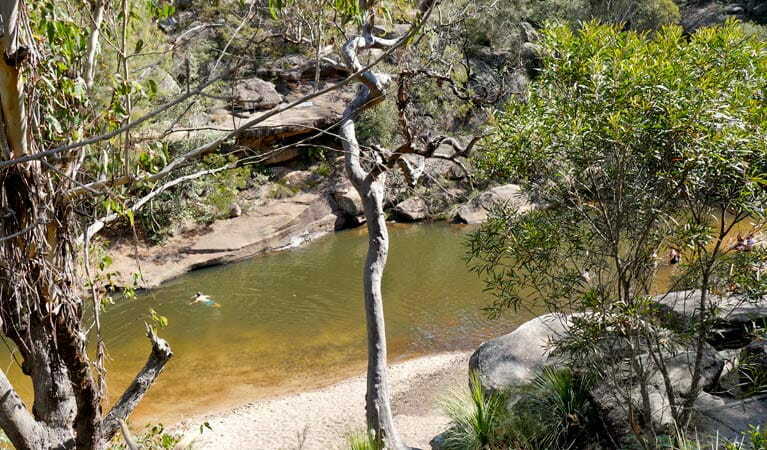 You can choose to climb out to Lapstone Station, or if you've got more time and energy to spare, retrace your steps up the gorge and enjoy a refreshing dip in Jellybean Pool on the way back. Remember to take your binoculars if you want to bird watch.